My children live 6 and 8 hours from me. Both of them have jobs and busy lives. In order to see them we have to try to get our schedules to match up. This is not always easy!!!! About two weeks ago I started trying to arrange to go to Tulsa to meet the kids. I had one tell me they had a concert to go to and the other had no idea what her work schedule was going to be. It is very costly to make this trip and I had a choice take the chance they will make time for me or stay home. As the days went on I looked at my schedule and my bank balance. I decided whatever time I got with them was worth the trip. I booked a hotel and told them this is where I will be and we will work it out. I waited on my daughter to get off work. I waited on my son to make it to Tulsa to eat. He found other things to do so I then had to wait for his concert to be over. I spent the evening and most of the night with my daughter and at 2 am we met my son, his friend and future son in law at IHOP. IHOP at 2am meant we got to the hotel and into bed at 4. We got up ate breakfast in shifts and we all woke up at different times. We hugged and said our goodbyes. I was driving home and feeling a little down about the time being so little. In my thoughts I was grumbling about how I just drove all that way spent all that money and now it’s already over. All of a sudden I begin to think wow He waits on us too! God sacrificed the ultimate sacrifice (His only Son) so we could spend time with Him. God meets us right where we are at. He waits patiently on us! We have our busy schedules and all of our excuses. He says your worth it. I will wait and I will enjoy every moment you give me. When the kids and I leave each other we miss each other even more than we did before we got together. This is how it is with God. The time we spend with Him leaves us longing for even more time with Him. I pray we each stop and we turn to Him. He is waiting right there inside you. Waiting for a few moments of quiet fellowship with you. Isaiah 30:18 And therefore the Lord earnestly waits expecting, looking, and longing to be gracious to you; and therefore He lifts Himself up, that He may have mercy on you and show loving-kindness to you. For the Lord is a God of justice. Blessed happy, fortunate, to be envied are all those who earnestly wait for Him, who expect and look and long for Him for His victory, His favor, His love, His peace, His joy, and His matchless, unbroken companionship! This entry was posted in Uncategorized and tagged Faith, God, Inspiration. Bookmark the permalink. Thanks for such a encouraging post. What a practical way to remind God is waiting for us and is with us at all time, waiting for us to reach out to Him. Very well said! It was so easy to follow, yet so impactful. 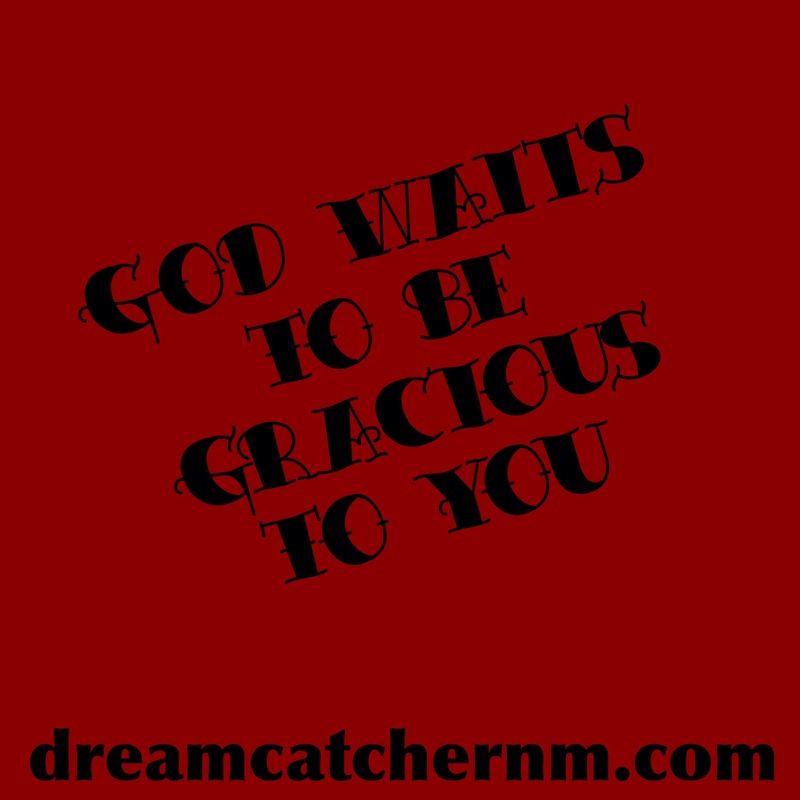 We serve a gracious God! Wow, good word!! Thank you! beautiful and such truth! Thanks for your words, as they matter.